Self employed husband on phone with his self employed wife announces his lunch break. "I'm taking lunch now (at exactly 12:00 noon)." His wife responds, "I'm still working here." Husband teasingly responds, "I must have a better boss than you!" "No" she quickly retorts, "Mine is the best!" "How's that?" He wants to know. "My boss is God!" she says. "Well, He must work you too hard," he says. "No," she answers. He knows what's just right!" "I should say at the outset that Donna-Marie is a friend of mine. Even were she not, however, my review would be no less glowing. 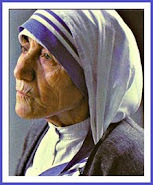 How is it possible that so much spiritual wisdom resides in one woman? How fortunate we are to have such a gem of an individual in the Church today to help us focus on that which is truly important. After all, there is no dearth of books on all the things wrong with the Church, whether it be on politics or teachings or scandals or anything else. Yet in this tightly written, compact, and attractive book (it would make a terrific gift item), Donna-Marie has given us a book that focuses on the one thing that will cure the above problems and so many more: prayer, deepening our relationship with God, giving ourselves up to Him and His ineffable will, not in spite of our daily duties, but precisely in the midst of them. My wife, who also looked at the work, did have an issue with the layout of the text. She thought it could have stood some more thought before publication. But that has nothing to do with the treasure Donna-Marie has created for us. Now the only question remaining is: Who will come out with such a book for us men? Get this book, read this book, and then get this book again to give away this book. It deserves dissemination far and wide." Thank you very much, Brian for your very kind review. May God bless you and your family! 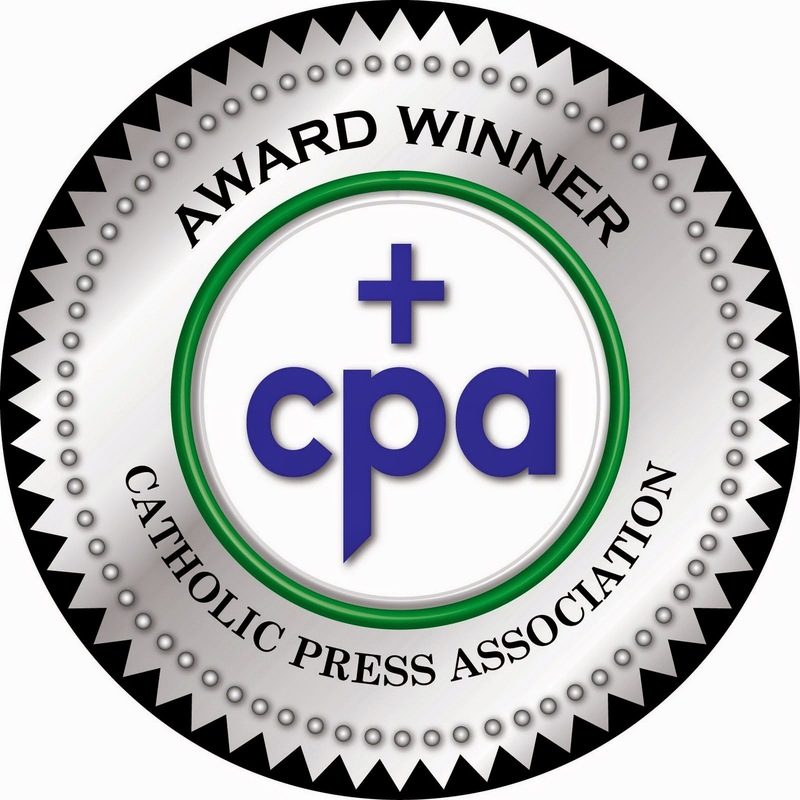 "Some of the perks of being a Catholic blogger all these years have been the friends I’ve acquired and the lessons learned from them. Stamina, fortitude, and grace, are the gifts of these friends during my short career as a writer of which I am forever changed. 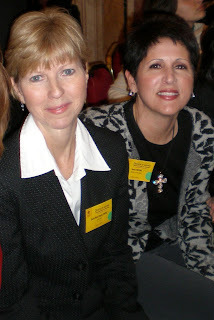 One of these new friends is Donna-Marie Cooper O’Boyle, she has blessed me with several opportunities as a book reviewer to read a few of her many books: The Heart of Motherhood, Catholic Saints Prayer book, and Prayerfully Expecting (which I totally forgot to write a review on). All three are wonderfully written with heart, soul, and love for the reader. 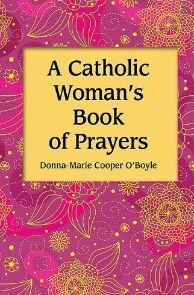 Now with Mrs. O'Boyle's newest offering, A Catholic Woman's Book of Prayers, we are yet again blessed with her wisdom as mother and devout Catholic. 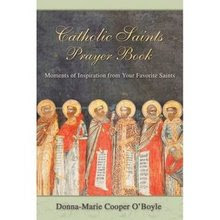 Besides the precious messages and insights Donna-Marie shares in these books, I like the size of this and the Catholic Saints Prayer book, its purse size as I like to. Easy to carry with me when I am running errands, working, or just getting the many responsibilities of being a mom accomplished during the day. 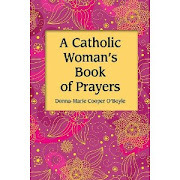 A Catholic Woman’s Book of Prayers is small but packs a punch in prayers, meditations, and insightful reflections on the different aspects of being a Catholic woman in today’s crazy. Just 80 pages and eight chapters, this book is an easy read without being daunting in our busy schedules. 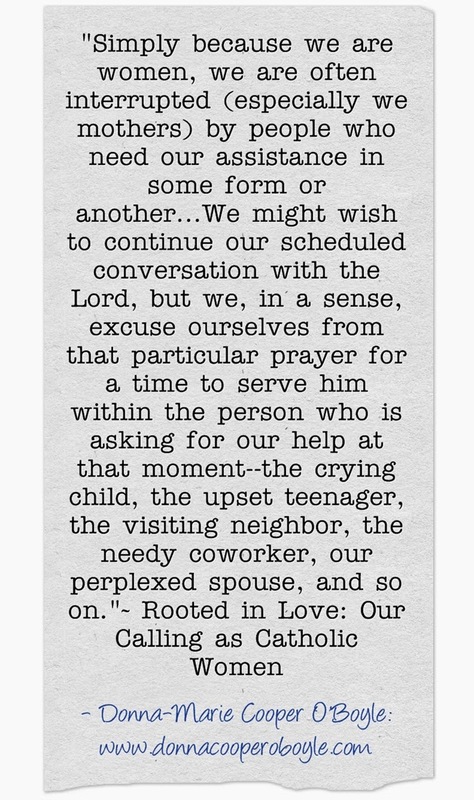 Some of my favorite messages in the book are the prayers, here’s one for example:"
Thank you for your kind review, Ebeth. 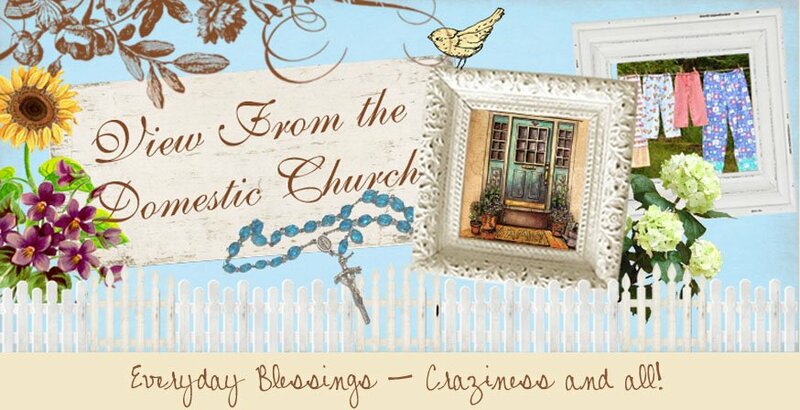 May God bless you and yours! 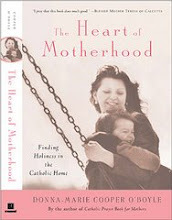 I still have to write about my recent trip to the EWTN network, but God has been keeping me busy. I am now back home from EWTN and all of my adventures while there taping my shows and other things at the network in Alabama. So, as soon as I finish tending to a few things here, I will fill you in. It's been a bit tricky accessing the Internet because I came home to no electricity, phones or Internet due to severe storms. It is finally restored. But, more about that in a bit. 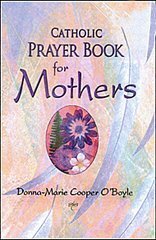 Donna-Marie Cooper O'Boyle's delightful pocket-sized volume, Catholic Prayer Book for Mothers, is like all her work in that it comes from the depths of her heart. But it is so much more. 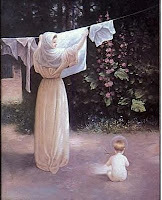 Yielding her days, moment by moment to God through the example of Our Lady, and guided by the extraordinary teachings of the Catholic Church, Donna-Marie has received along the way the luminous and enduring grace of a mother’s wisdom, which she shares with affection and humility. I always light up under the influence of this wise and tender friend to women; one who has prayed, suffered and rejoiced with Our Lord through all of life’s varied moments in an attitude of trust. This little book makes me think of a garden, with its smaller beds of ferns and flowers, overflowing with life and beauty. 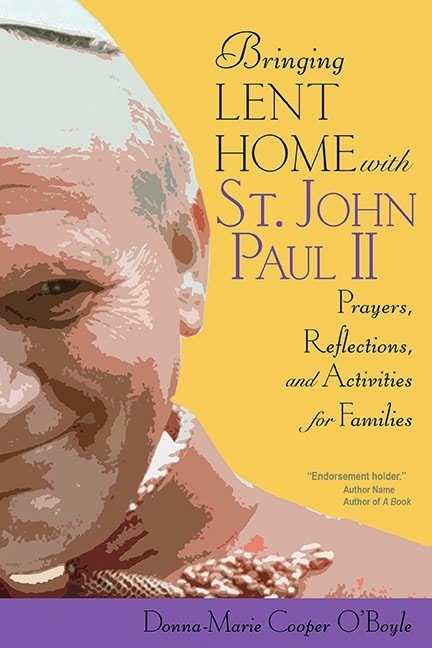 In each chapter, you’ll discover small blossoms of scripture, quotes from popes, saints, and the Catechism, traditional and original prayers and poems, and personal thoughts for meditation. Thank you very much for the wonderful review, Lisa! I'll be flying out to the EWTN network in Alabama soon. I'm choosing my outfits, tying up loose ends here, making arrangements on the other end, and will be packing soon. I will be celebrating my son's college graduation later on today, (can't wait!) 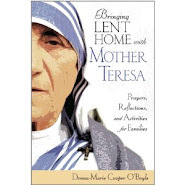 doing errands, getting a bit of writing work done, looking over my scripts for my 25 segments for EWTN, and basic home stuff, as well as making sure hubby has dinners pre-made, pets have enough food, being in touch with my daughter who is visiting Jerusalem right now, etc., etc., etc.!! Oh, and my daughter is throwing a little birthday party tonight at our house! My dining room looks like a college dorm exploded in it since one of my daughters came home from college and has yet to put it all away (Oh well, we won't let that deter us.). She shall remain nameless (for now!). Patience! Patience! 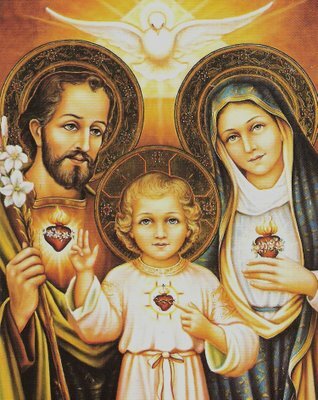 Please keep me in your prayers for my travels to EWTN and work while there. I'm excited to create these television segments to hopefully, with God's grace bring inspiraton to all of you! Thank you so much in advance for your prayers!